The London congestion charge has played a role in limiting the growth of congestion in Central London. A congestion charge makes drivers pay the external costs of driving in congested areas. It also raises revenue for funding alternative transport schemes. Despite the economic benefits and relative success, it remains highly politically unpopular. A referendum in Manchester saw only around 17% support the idea. People don’t like sitting in a traffic jam, but they dislike congestion charges even more. The current government have frozen petrol duties – a very popular political move, but as oil prices fall, expect congestion to increase. Nevertheless, with the predicted rise in traffic and congestion, congestion charging will probably remain on the table. 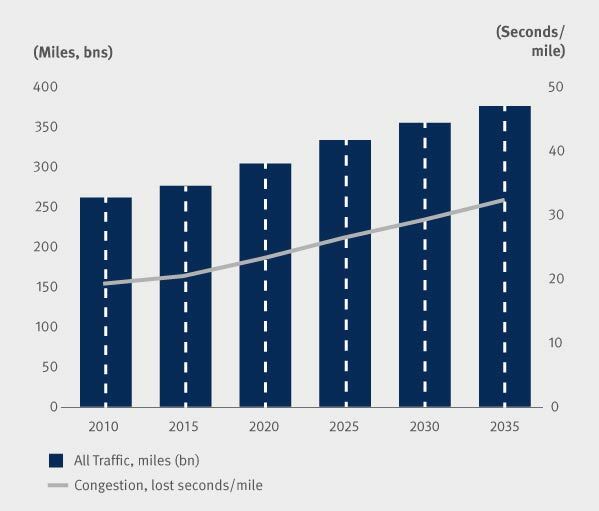 If congestion continues to worse, it makes alternatives increasingly attractive. If driving into Central London takes an increasingly long time, the relative benefits of cycling / walking / public transport will increase. 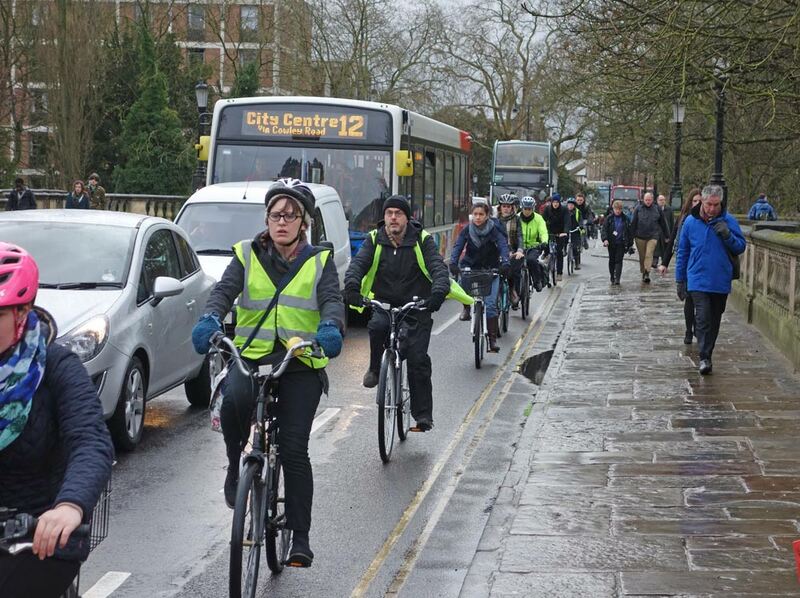 A significant cause of the growth of cycling in London is a response to the time lost due to congestion. Despite the difficulties of cycling in a congested city, it still offers an increasingly attractive alternative to driving. As congestion worsens in other cities, more people will be forced to look at alternatives to driving. 4. Rethinking city planning to switch transport modes. which lane would you chose? 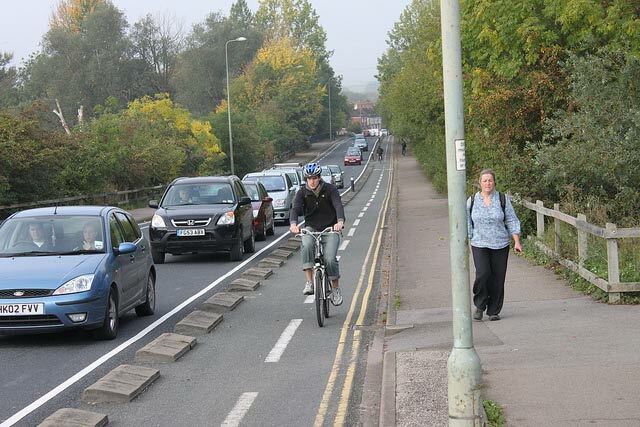 Greater restrictions on motoring, combined with attractive alternatives, such as creating integrated cycling infrastructure cycle campaigners have been calling for. 5. Greater labour market / work flexibility. The CBI emphasise the role of greater work flexibility so workers can avoid peak times and come into work before or after the rush hour. Also, companies may offer more work at home opportunities, to save the cost of the commute. Congestion is a real problem. There is a high economic cost, but also the stress of congestion is a significant factor reducing quality of life. But, ironically the worse congestion will get, the more attractive other alternatives start to look. If you were designing cities from scratch would you design it so people drive a car at an average speed of 7 mph and spend hours in traffic jams? More than anything it is a failure of imagination. I know Oxford loves the bike but that cycle lane causes all sorts of new issues! 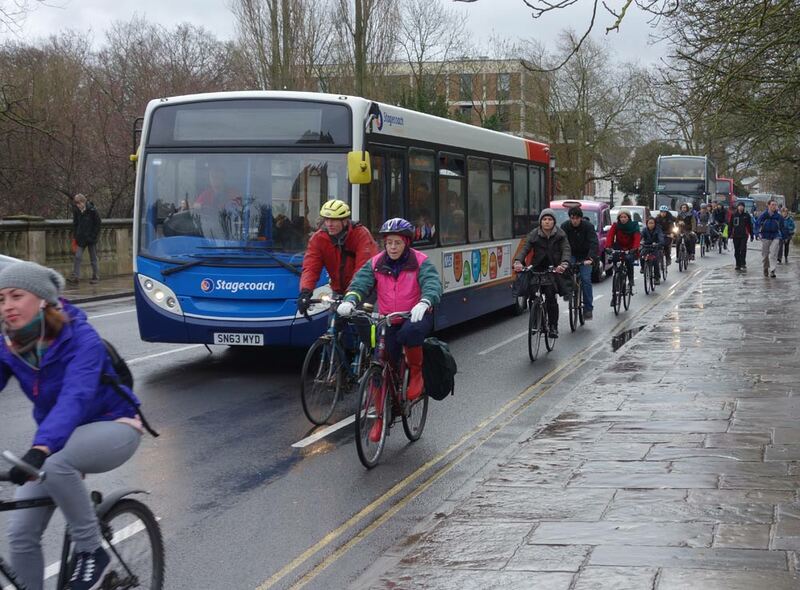 Slower moving cyclists going up the inside of buses? 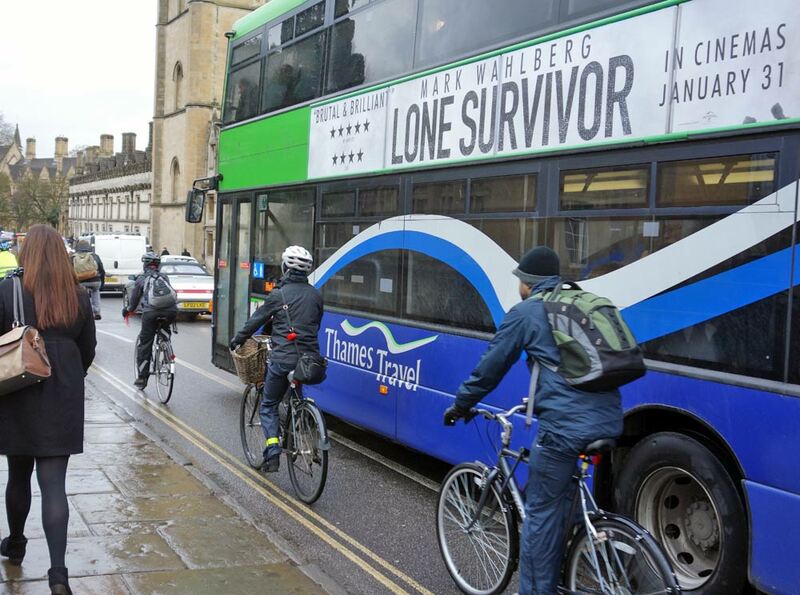 Surely that’s asking for trouble when the bus turns left ignoring the cycle lane and mows down a rider? The bit in the 4th point looks amazing though, looks absolutely perfect for zooming through!